It is probably a surprise to many of you seeing the Parma shirt being this far down on the list. Ill readily admit that it is a really nice shirt but I feel that there are four shirts that are coming up which trump this design. This version doesn't have the sponsor present on the front. I feel it looks a bit cramped with it positioned in the cross section of the front design. The cross of the yellow and blue is a unique style which is probably the man reason why this shirt has received so much attention. It is a simple concept but sometimes that is all that is needed. It works especially well when positioned against the dark backdrop of the shirt. I would prefer to see the Errea logo on the right and not in the center. 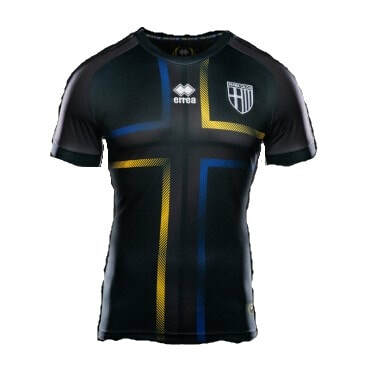 I already own a Parma shirt so I wont be picking up this one but if you are thinking about it I would suggest you do as this will definitely become a classic. I am confident in saying that this shirt will be worth more than you buy it for in at least five years. I am a big fan of shirts that go beyond the standard meaning and effect of a piece of clothing. This shirt is an example of this as it is made from recycled ocean waste. Whatever you think about Adidas and Juventus you cant argue that this approach for this shirt is an amazing cause. I would be delighted if Nike were to instigate a similar sort of initiative for a Chelsea shirt. Other than this, the overall deign of the shirt is great. The contrast between the bright yellow and the carbon effect is wonderfully executed. Bright colours on football shirts is always something that I look out for. Especially if the logos across the shirt take on the same colour as the one that is present on the shirt. There aren't any other outstanding features on this shirt but I feel that there is enough to warrant this shirt having a place in my collection. 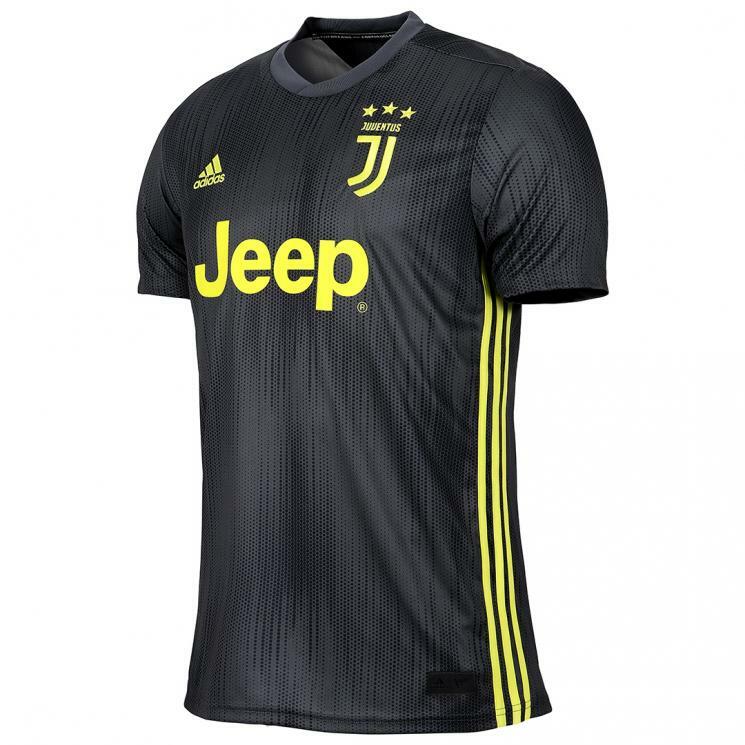 I am yet to pick up a Juventus shirt and I cant think of a better shirt that this one to include in my collection. With it being a third shirt I suspect that the price will drop fairly low so Ill be able to pick it up for a decent price. I have been waiting for a long time now for a Roma shirt to be released that has a sponsor on the front. I know a lot of people prefer to see them without but for me they are a must. 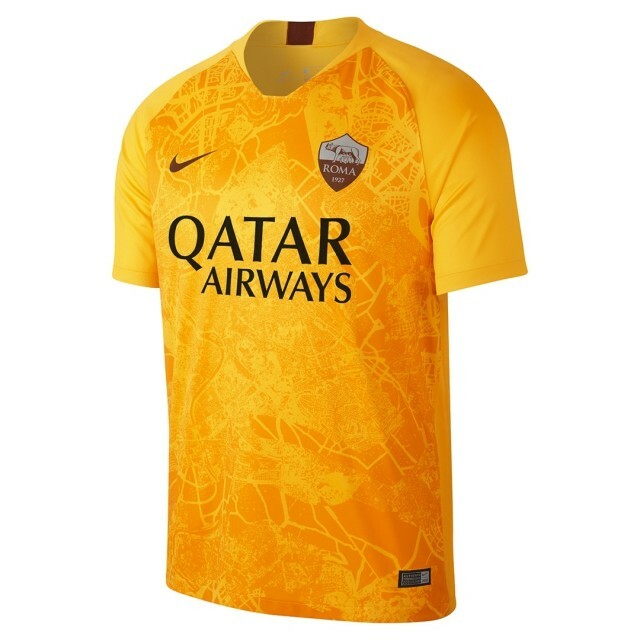 To be honest all of the shirt that Roma will be wearing this season are amazing and it was a tough choice between this one and the home shirt, but this one pipped it for a reasons. 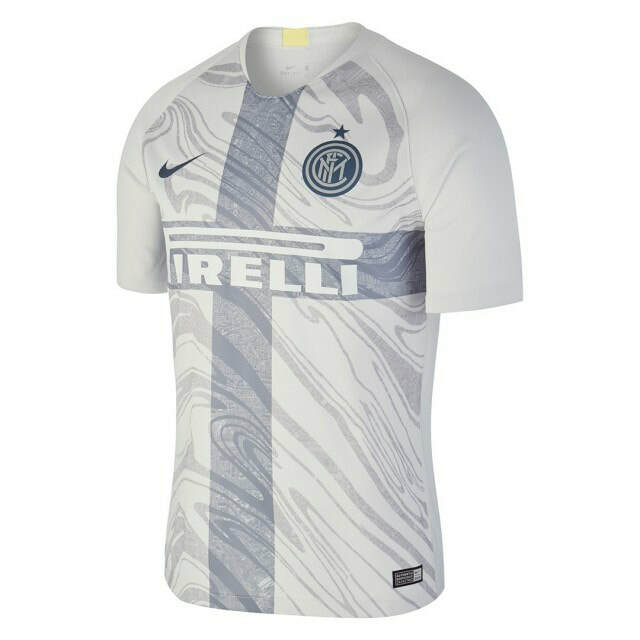 The main reason is the fact that this shirt has a map of the city of Rome across it which is an amazing feature. At first it might look just like a random design but upon closer inspection you can see the details of where the club is situated. The colour of the shirt is amazing. It reminds me of the sun and fills me with life when I look at it. Like I said I have been waiting for a while for a Roma shirt like this to appear so I will do my best to add this shirt to my collection. The only problem I have is that it is difficult to find a retailer that sells it with the sponsor on the front which is typical. I will get it one way or another though. This may be one of the coolest shirts that has ever been released. Any shirt with a panther on the front gets a 10/10 from me every time. What I like about it too is that it's not too obvious either. Well as subtle as a panther on shirt a shirt can be. All of the shirts that Napoli have released this season features the panther so if you are looking to pick up a Napoli shirt this season then I would suggest you go with your favourite colour as they are all identical apart from the colours that have been used. The sponsors on this shirt are located in decent enough positions. The only negative for me is that with the shirt being manufactured by Kappa is the fact that it will be elasticated in the material which isn't my first choice when picking a shirt. That though can be easily overlooked in an instance like this when the shirt looks as good as it does. 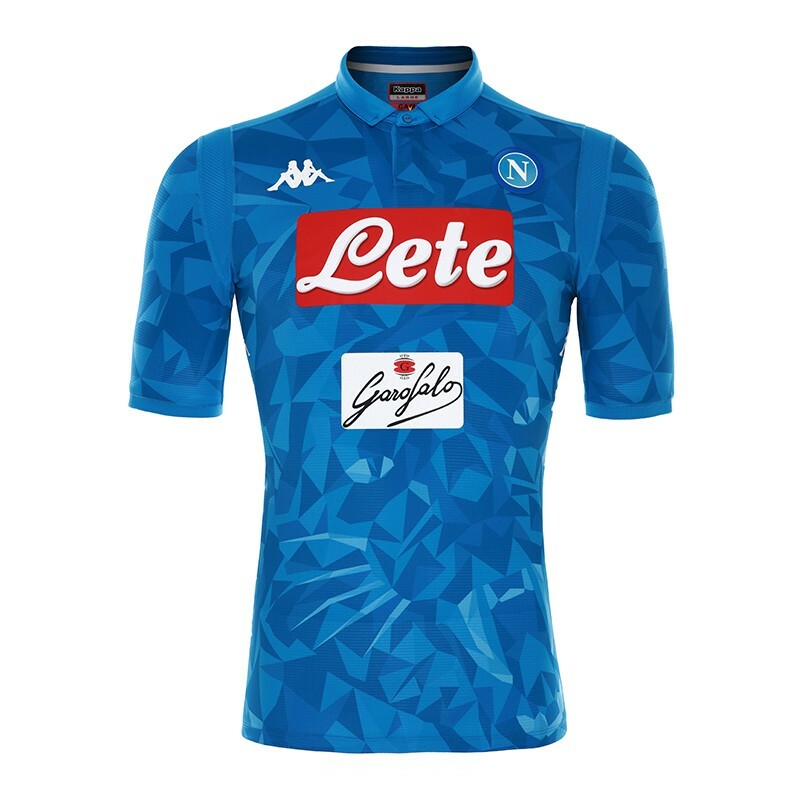 I do already own a Napoli shirt in my collection and if I am honest it isnt really one that stands out too much so I will be keeping my eye on this shirt as the season progresses to see if I am able to pick it up for a decent enough price.